Straight talk apn settings – Step by Step Configuration. Seems that there are a lot of folds having issue to correctly setup the straight talk APN Settings for their phone, we have looked into different forums and tested this one version which seems to be working properly. These are the most recent and fully functionaly straighttalk apn settings for the United States (US). Once you have completed to setupThis Straight talk APN settings you are ready to Go!, Happy Browsing on a FAST Mobile Internet for your StraightTalk phone using this straight talk APN Settings! As mentioned above, for connecting to the mobile internet on your smartphone, please use the below Straight talk apn settings, sometimes there are people who refer them as Straight talk wap settings or 3G 4G APN Settings for Straigh. Don’t worry, they are talking about the same thing here. Straight talk apn settings – How to configure it? Straight talk apn settings for Android – For Android, you should go to Settings > Wireless Connections > More > Mobile Networks > Access Point Names. Straight talk apn settings for iPhone or iPad – Main Screen > Setup > General > Network > Mobile Data. Straight talk apn settings for Blackberry – Step by Step configuration for you blackberry. What are these Straight Talk APN Settings for? Amanda, which phone do you have and is it rooted? get kies upgrade firmware wala you can now do it took me hurs today but i figured his out by myself no need to root! I was given an at@t galaxy s3. i just upgraded to the att 4g lte sim on straight talk and my mms messaging worked for the first day with the settings they suggest on the straight talk website. now all of a sudden, i can send mms but cant receive them. not even after disabling stock messaging and downloading go sms. this is driving me crazy… HELP!! I have a blu life one and found a work around for not getting mms messages. Download the phone leash app and use it to forward all mms messages to your email where you can view them there. Not a perfect solution, but it’s better than nothing. These don’t work for me! I have an LG Optimus G Pro. I have been able to receive mm messages for around a month now (using pretty much any setting, I’ve tried quite a few) but can not send them. I’d really really like to be able to send them! I typed the APN setting EXACTLY as they were! I had an LG Extreme & used Chomp as my SMS which sent & received MMS perfectly. Just got the ZTE Majesty. Cannot send or receive MMS with Chomp. They say to copy the APN settings from phone to Chomp. Well, ZTE Majesty does not have APN settings to be found anywhere. Call ST cust service & was told this phone does not have APN settings. Really???? I’m pretty sure ALL phones have these settings. I love Chomp & want to start using it again. Hi Alison, did you try to enter settings of chomp and try using the APN MMS settings info that is listed above? I also have the ZTE Majesty and use Textra instead of ChompSMS. I put MMSC: http://mms-tf.net and MMS port: 80 in the MMS Settings section and it fixed the MMS issue for me. Hi…I have tried several apn settings. I brought over my AT&T Samsung Galaxy S3 about 5 months ago. I cannot access the internet nor can i receive MMS messages. Please help. Hi Roni, which operator are you using now? Okay so I filled in all of the info as directed and mine still isn’t working…? I can’t get my mms to work either. Regular text will work and 4g LTE will to. Here is my situation. 1. Today I ported my # from Virgin Mobile BUT the phone I am using on Straight Talk is an AT&T Samsung Galaxy S3 I bought from someone. It has andriod 4.3 on it. And i bought and am using the new AT&T Straight Talk 4g LTE Sim Card. I have tried most of your suggested settings. The only one that seems to work some is the TFdata one.. but it still doesn’t give me MMS. Do you think I need to give it a few days because I ported my #? I called ST support and they say everything looks fine on their end. HELP?!? Thank you. I just bought two AT & T Samsung Galaxy s3’s to use with straight talk. I have already ordered and received the AT & T SIM cards from ST as well and the activation card. I have been reading the above replies and seems it may be a nightmare to get the APN settings right and be able to use MMS also. This worries me. I truly DO NOT want to call Straight Talk and talk to their tech support or anyone. The phone service is good to me but their support is absolutely horrible. You can’t understand the workers; they are ALL foreigners who you cant understand and they cant understand you. DOES ANYONE ANYWHERE AT THIS POINT KNOW FOR SURE THE CORRECT APN SETTINGS FOR AN AT & T PHONE WITH AN AT & T SIM CARD BEING USED ON STRAIGHT TALK??????? I really don’t want to go thru this nightmare for weeks of trying to figure this out or not being able to use my internet or text messages or pictures etc and I for SURE DO NOT want to call Straight Talk and spend two hours on the phone talking to ‘Bob’ or ‘Cindy” from Arabia or somewhere. I just bought a Samsung Galaxy S3…….I followed these APN settings and I am not receiving Pics……..I can send them but not receiving them……just transfered my number over from another straight talk phone today…..new sim card AT & T mini with straight talk……Do I have to just give it time or is there another answer??? Hi Tammy, sometimes it takes up a few days, let’s wait a bit. I have an LG G2 phone from Verizon that I want to use with straight talk, I have no signal what so ever. How will I make it work, or will it ever work? Hi, did you check if your phone is locked? That APN doesn’t seem to work for my HTC one m8 wit kitkat. Its a factory unlocked one. I used the settings from straight talk but I wasn’t getting 4g LTE. Any suggestions? Hi I am trying to fix my apn settings, I entered inn all of the info above and it’s still not working. What might I be doing wrong? Hi Lily, you cannot connect at all? 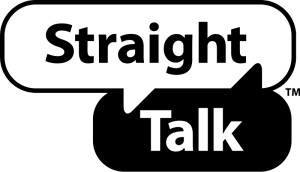 which Straight talk services are you using? ATT or Tmobile?